Salem: Jayden Santos, 3, opens a can of Sprite after taking a bite from a hot dog grilled by Salem police's community impact unit. Photo by Mary Catherine Adams/Salem News. 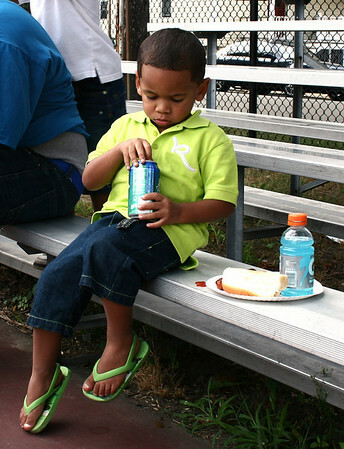 , Salem: Jayden Santos, 3, opens a can of Sprite after taking a bite from a hot dog grilled by Salem police's community impact unit. Photo by Mary Catherine Adams/Salem News.